The United Airlines passenger who was videotaped being bloodied and dragged off an overbooked plane by airport police signaled Wednesday he would fight back in court. David Dao filed an emergency "bill of discovery" against the carrier in Illinois State Court demanding that evidence documenting Sunday's "re-accommodation" aboard a Kentucky-bound plane be "preserved and protected." Dao "currently has no access to them and believes that serious prejudice" will befall his case if the items are not safeguarded, the court papers state. A 69-year-old doctor, Dao was one of four people who was randomly selected to get off the oversold plane just before it was supposed to take off Sunday from O'Hare International Airport for Louisville, in order to make room for United flight crew members who needed to get to an assignment. 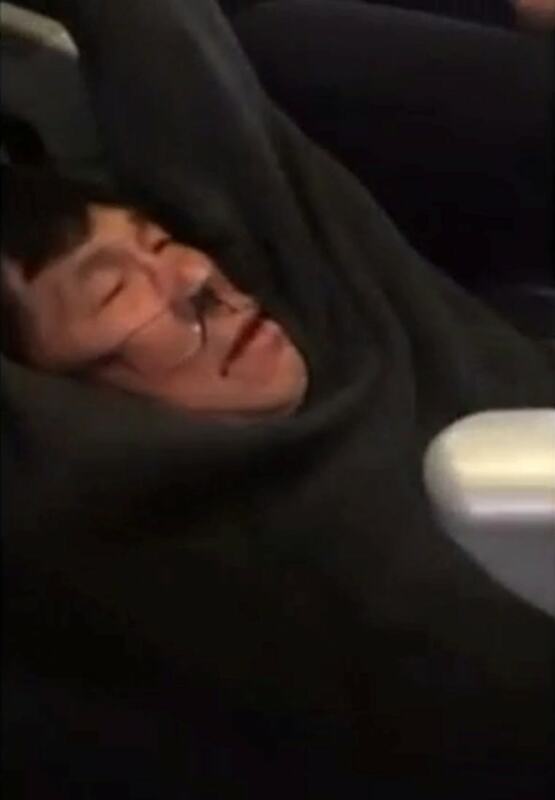 When Dao refused, United sent in Chicago Aviation police officers to remove him from the plane and the resulting cellphone video of the struggle shot by another passenger has turned into a PR nightmare for United. While United honcho Oscar Munoz apologized in a public statement Monday — saying they had to "re-accommodate" Dao — in an internal letter seen by NBC News he accused the doctor of being "disruptive and belligerent." A United spokeswoman told the AP on Wednesday that all passengers aboard that flight will receive compensation equal to the cost of their plane tickets. The passengers can take their compensation in cash, travel credits or miles, United's Megan McCarthy told the AP. Meanwhile, politicians and Asian-American advocates called for an investigation. Three of the officers involved in the incident have been placed on administrative leave, according to the Chicago Department of Aviation. Their names have not been released. President Trump also weighed-in Wednesday, saying what happened to Dao was "horrible." In an Oval Office interview with the Wall Street Journal, Trump suggested that this kind of incident could be avoided in the future if carriers remove the upper limits on vouchers they offer passengers in return for giving up their seats. "You know, there's a point at which I'm getting off the plane ... seriously," said Trump. "They should have gone up higher. But to just randomly say, 'You're getting off the plane,' that was terrible." And still, there were no takers. Charlie Gile and Associated Press contributed.